So it’s pretty obvious now that Autumn and it’s chilly weather, dark nights and extra layers are here, but that doesn't mean I'm willing to let go of Summer just yet. During my holiday this year I picked up a few items from the Sephora Collection range and it was actually my boyfriend who chose this particular scent. 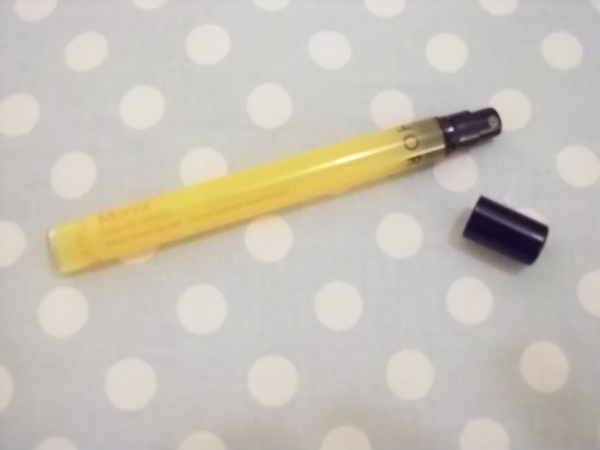 The only way I could describe the Monoi scent is literally sunshine in a bottle! I've been using this in the mornings recently when the weather outside is far from sunny and it has transported me back to the streets and beaches of Italy every time. I thought I'd share my thoughts on the products with you in my last ditch attempt to inject a little sunshine into the blog before we give in to the spicy sweet allure of winter scents. The Monoi Creamy Body Wash lathers up well, but my favourite thing is obviously the scent. The Monoi fragrance is a sweet fruity vanilla scent that fills the bathroom with the gorgeous aroma of summer, perfect for when its pouring outside and you're needing a little lift! I really like this body wash and will definitely pick up more whenever I’m next near a Sephora store. I'm not usually one for ‘matchy matchy’ scents but I just loved the smell of this so much I had to have the Super Supreme Monoi Body Butter to match the shower gel. The two paired together ensure that I am smelling of the fruity vanilla scent all day! 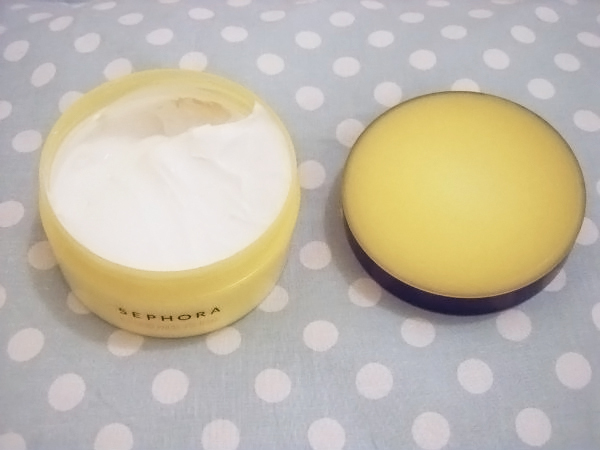 This is an incredibly rich body butter, so I wouldn't recommend it for those of you who prefer lighter formulas for moisturising, but I love the rich feeling. It leaves my skin super soft and smooth, this is a great one to use after shaving your legs! Plus the Sephora collection body washes and butters are free from nasties such as Parabens and Sulphates so are really great for all skin types and although they are heavily fragranced, they are gentle on the skin. Don't worry I don't use all three at once, I definitely think that would maybe be a little Monoi overkill! The Monoi Mini Eau de Toilette is great for popping in my bag during the day for uni or work when I just want a spritz of something light and fruity. I've actually more or less ran out of this but will 100% be repurchasing this the next time I'm in Sephora as I love it! 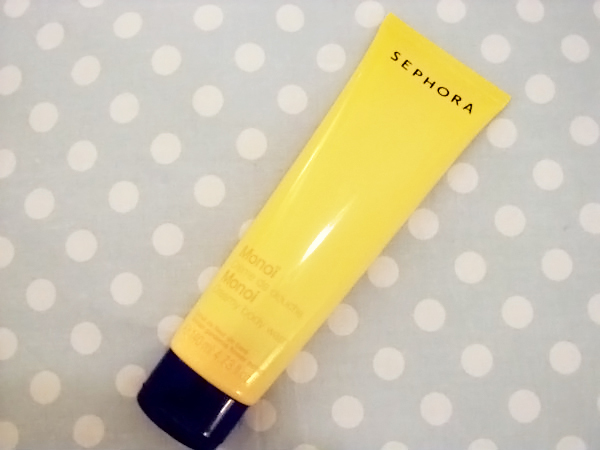 Surprisingly it’s really long lasting too and I've had lots of compliments from people when wearing this, I'd definitely recommend picking some of these up the next time you're in Sephora as they are great for popping in your handbag or for taking with you when you're travelling. I've really enjoyed using these products from the collection but I do think soon I’m going to have to switch them for something a little more wintery. I can already feel the last drops from last years bottle of Snow Fairy shower gel calling my name from the depths of my bathroom cupboard, uh oh! 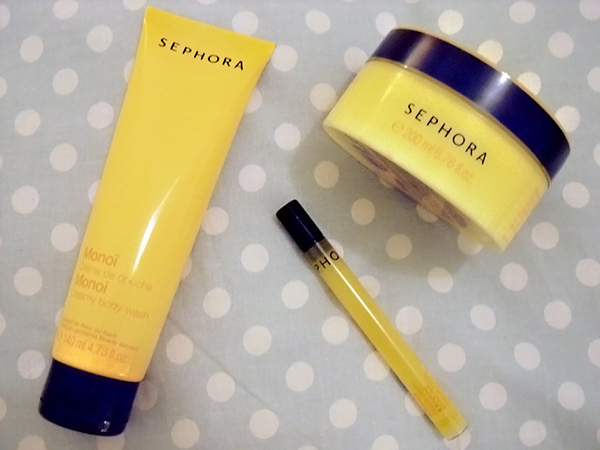 Have you guys ever tried anything from the Sephora Collection, what’s your favourite scent?